The preeminent source for public safety labor and employment law issues. This month’s cases include: Officer Cell Phone Search Case Heading To Trial, Port Authority PBA v. Port Authority of New York and New Jersey, 2017 WL 4403310 (S.D.N.Y. 2017). Fire Captain Loses Beach Volleyball Case, DeCohen v. County of Los Angeles, 2018 WL 316864 (Cal. App. 2018). Change In Insurance Carrier Not Negotiable Without Substantial Changes In Benefits, City of Hartford and Hartford Police Union, 2017 WL 6813591 (CT.Dept.Lab…. This month’s First Thursday podcast is a week late because the podcast producer dropped the ball (sorry). We’re offering a prize to the first listener who can identify the classic television show theme music Will uses as his ring tone. 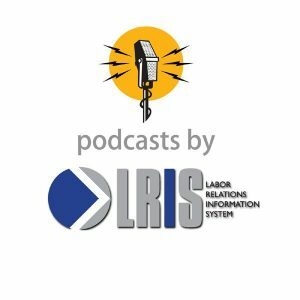 This month’s podcast includes: What the new tax bill means for public safety agencies and labor organizations. Employer Must Negotiate With Union Before Recouping Overpayments, Teamsters Local 839 v….